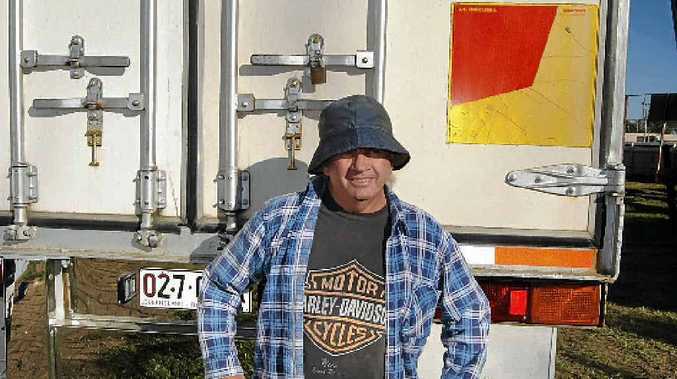 FOR the past 30 years North Queensland truckie Adrian "Bowie" Bowman has driven road trains. Big Rigs saw Bowie, as he is known, at the Townsville Show last month which more than 70,000 people attended. Jack-of-all trades Bowie was officer in charge of the maintenance crew which ensured the Showgrounds was cleaned night and day. "I also drove the 1985 model White 9000 water truck which was a common sight during the four days," he said. Bowie, 50, also drove several other trucks during the show and was hard at work when Big Rigs yarned to him the day after it finished. "I love working here and driving all the different trucks and the others who help are great. There are no plastic people or square heads among them. We are crusaders for good causes," Bowie said.